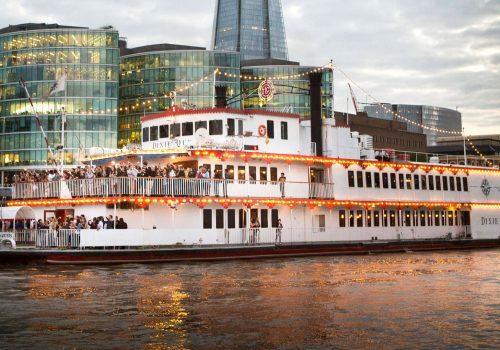 Premier Technical Services Group PLC (PTSG) is proud to be the headline sponsor of ThisWeekinFM’s Annual Summer River Boat Party – one of the most popular events in the facilities management industry’s calendar, taking place on 12th July 2018 from 6pm-10pm. With around 400 industry professionals attending, it’s a unique opportunity for hospitality and networking. Boarding the Dixie Queen – a large replica 19th Century paddle steamer – at Butler’s Wharf Pier, guests will sail east past the Tower of London and under Tower Bridge. They will go on past Canary Wharf and historic Greenwich, round the O2 Peninsula and through the Thames Barrier, rounding off the night at the Tower Millennium Pier (North of the River Thames). PTSG is a familiar name in the facilities management industry, pledging its support to a number of organisations including the British Industry of Facilities Management (BIFM) and the Stoddart Review. The Group’s sponsorship of the Annual Summer River Boat Party will strengthen its profile in the capital, where three of its 17 UK offices are based, and where it has undertaken high-profile projects including cradle installations on The Cheesegrater and The Gherkin.